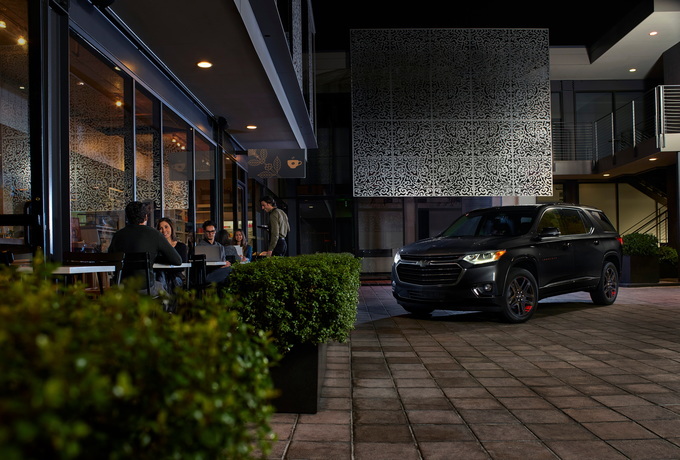 We have information you must know before you buy the Traverse. The carryover 2019 Traverse continues arriving at dealers nationwide. The LT Leather trim gets a hefty $2,700 price cut because some standard features have been demoted to option status. The popular LT model is generally easiest to find, followed by the upscale Premier. Not many buyers are interested in the base LS, which is generally excluded from factory cash offers. The lineup also includes sporty RS and luxurious High Country models. Unless otherwise noted, factory offers are available nationally and will expire April 30, 2019. Chevy often enhances incentives on this model for Memorial Day weekend. Every 2019 Traverse comes with a $500 factory rebate for all buyers. In addition, Chevy is offering a $750 Select Market Bonus in places like California, Florida, and many large cities. That brings your potential savings to $1,250. You can now lease a 2019 Traverse LT from $319 for 36 months (10,000 miles a year) with $4,139 due at signing. The effective monthly cost is $434, virtually the same as last month. This falls just short of a good value in our book. We expect offers to perk up this spring. There is no nation APR offer this month, but discounted rates will probably be available at the dealer level. You might have to shop around for the best deal. Fresh off last year's total redesign, Chevrolet's largest crossover comes to the rescue of families who need all the space they can get. 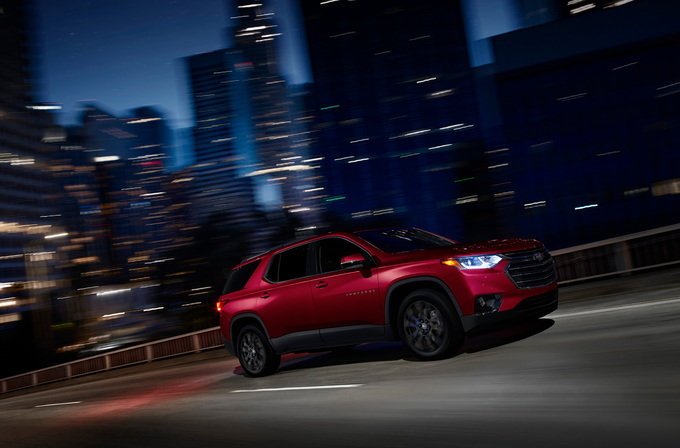 With seating for eight and class-leading cargo space, the 2019 Chevrolet Traverse deserves its ubiquitous presence on the American crossover scene. Aside from minor equipment revisions, the Traverse is unchanged for 2019. The Traverse's main virtue has always been interior room. It really can accommodate eight adults spread across three rows, or seven with the optional second-row captain's chairs. With a full crew aboard, the Traverse handles up to 23 cubic feet of cargo. This capability grows to 58.1 cubic feet with the second row folded, and a whopping 98.2 cubic feet with all seats out of the way. A 10-inch deep storage well hides under the floor. Most models carry a 3.6-liter V6 engine that delivers 310 horsepower and 266 pound-feet of torque, paired with a nine-speed automatic transmission. This engine is EPA-rated at 18 miles per gallon city, 27 mpg highway, and 21 combined with front-wheel drive, or 17/25/20 mpg (city/highway/combined) with all-wheel drive. The sporty RS trim gets a turbocharged 2.0-liter four-cylinder engine with 255 hp and 295 lb-ft of torque. Available only with front-wheel drive, the 2.0-liter is rated 20/26/22 mpg. Priced from $30,925 (all prices include the $995 destination charge), the base L provides seating for eight, LED running lights, outside heated mirrors, a rearview camera, 18-inch wheels, six USB ports, keyless entry and start, tri-zone climate control, Chevrolet's Teen Driver system, and Chevrolet's seven-inch MyLink infotainment system with Android Auto and Apple CarPlay compatibility. Exterior colors are limited to black and white, and package options and all-wheel drive aren't available. For $33,795, the LS gives buyers deep tinted glass and access to additional colors and options, including all-wheel drive ($2,000), a rear entertainment system with DVD player ($1,995), and 20-inch gloss black wheels ($1,995). The Black Accent Package ($600) and Blackout Package ($870) add black exterior touches, while the Chrome Essentials Package ($255) tacks on chrome mirrors caps and door sills. The Floor Liner Package ($385) adds all-weather floor and cargo liners. This equipment is available throughout the rest of the lineup. The $36,295 LT Cloth comes with second-row captain's chairs, roof rails, a power driver seat, fog lights, and turn signals in the side mirrors. Eight-passenger seating remains available as a no-cost option. The Convenience and Driver Confidence Package ($1,795) contains a power liftgate, remote start, an eight-inch infotainment screen, heated front seats, rear parking sensors, and blind-spot monitoring with rear cross-traffic alert. All of these features are standard on models equipped with all-wheel drive, so it adds $3,800 to the price. The 'Hit The Road' Package ($975) bundles molded assist steps and roof-mounted cross rails. In addition to leather seats, the LT Leather gets a power passenger seat and the contents of the Convenience and Driver Confidence Package as standard. All-wheel drive remains optional at $2,000. The LT Premium Package ($3,095) throws in a 10-speaker Bose sound system, a household-style power outlet, an auto-dimming rearview mirror with rear camera display, navigation, a surround-view camera system, and 20-inch wheels. 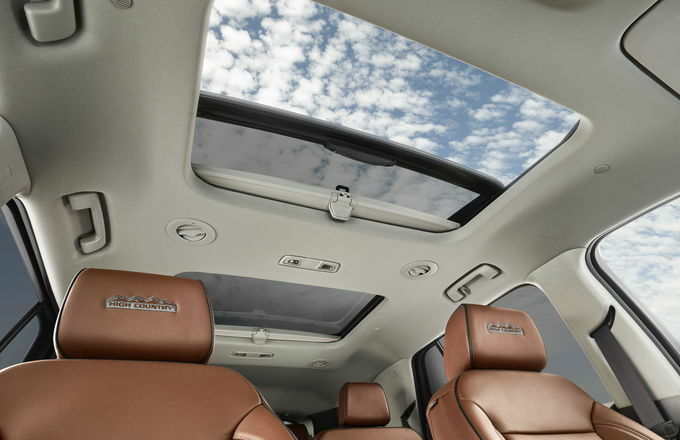 A panoramic sunroof can be added for $1,400, but it requires having the LT Premium Package first. Starting at $43,895, the RS gets the 2.0-liter turbocharged four-cylinder engine, sportier exterior trim, and everything in the LT Premium Package. All-wheel drive isn't available with the 2.0-liter, but can be added to the RS along with the V6 engine for $2,600. The plush Premiere, which starts at $46,295, carries ventilated front seats with driver memory, heated rear seats, a power-adjustable steering wheel, a wireless device charger, a hands-free power liftgate, auto-dimming side mirrors, and LED headlights. The Driver Confidence ll Package ($475) includes automatic high beams, lane keeping assist, a following distance indicator, and automatic emergency braking with pedestrian detection. These features are standard with all-wheel drive ($2,900), along with adaptive headlights and a Trailering Package. Exclusive to the Premiere, the Red Line Edition Package ($2,495) adds black and red exterior accents, matching 20-inch wheels, and the panoramic sunroof. For $53,995, the High Country comes standard with all-wheel drive and all the safety technology available on the Premiere. In addition, buyers get adaptive cruise control, an auto-locking rear differential, a power-folding third row, and an upgraded leather interior. The sunroof is also standard. 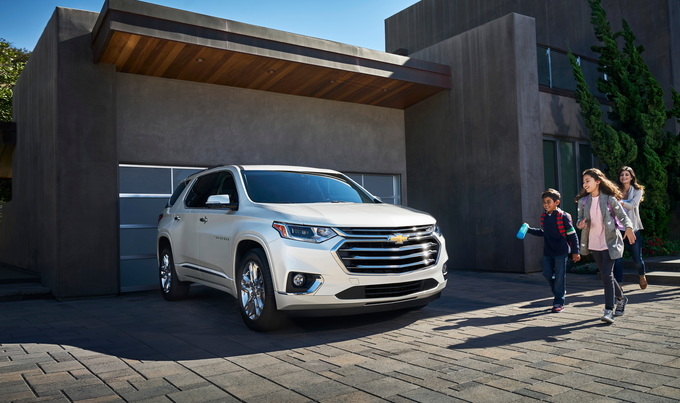 The 2019 Chevrolet Traverse L exists mainly for advertising purposes and isn't usually stocked by dealers. The LS is the real base model, but it's still too stingy on equipment for most families. The LT provides the best balance of features and price, and can be scaled up without going overboard. For buyers who want all the safety technology Chevy has to offer, only the Premiere or High Country will do. Still hot off a 2017 upgrade, the 2019 Chevrolet Traverse hits the road with style and plenty of substance. It’s a family hauler, built to carry up to eight passengers in comfort. Its workmanlike attitude is well placed in a competitive class, and while it’s not perfect, the Traverse isn’t hard to like. You won’t find many base-spec Traverses on dealership lots, and that’s not a bad thing. Given that nearly all models share the same heart – a willing 310-horsepower V6 – choosing a trim comes down to the right blend of features and value. In our opinion, even the LS trim is too spartan. Instead, we’d skip up to the Traverse LT Cloth, which includes a few welcome creature comforts like an eight-way power driver’s seat, heated side mirrors, fog lights, and a leather-wrapped steering wheel. It still allows access to safety tech, but won’t inflate prices into luxury SUV territory. All-wheel drive is available, but it’s a primitive system that we wouldn’t recommend unless your climate requires it. Parking sensors, however, are all but a necessity with the Traverse’s bulk. Chevy technically offers two engines with the Traverse, but one is a bit of a mystery. The 2.0-liter turbocharged four-cylinder engine is only available on a single trim in front-wheel drive, and it’s no sportier and barely more efficient. Most buyers will get the V6, and that’s a good thing. It has power aplenty, and the nine-speed transmission is a willing companion. The ride matches the cabin’s comfort with a modern suspension that absorbs most turbulence. On the downside, the two gas engines are the only options, without a plug-in, hybrid, or diesel in sight. Efficiency is poor, and the Traverse achieves a maximum of just 22 miles per gallon combined. Like the people-carrier it is, the Traverse also pitches heavily in the corners. It’s a comfortable drive, but not an exciting one. The Traverse shares plenty of design cues with Chevy’s line of trucks, lending a utilitarian edge to the SUV’s sharp but graceful shape. A newly taller grille is balanced by slim headlights and taillights, and the overall impression is a cut above most family crossovers. Inside, the cabin can be either leather-clad luxury or wash-ready plastic, but it’s always well put together. Best of all, there’s plenty of space for both passengers and cargo. All three rows will fit adults, and useful storage spaces abound. Behind the seats is a generous 23 cubic feet of space, which will expand up to a staggering 98 cubic feet with the rear rows removed. Base trims of the Traverse are reasonably priced, but the options list gets pricey in a hurry. To make matters worse, some useful active safety features (like automatic emergency braking) are confined to the expensive upper trims. The Traverse has achieved good crash ratings so far, but other brands are more liberal with their safety technology, and we wish Chevy had followed their lead. The Traverse checks all the right boxes for an all-around family vehicle...except for one: accessible modern safety tech. The Traverse is great for big families with big needs. It has USB chargers for every row, more cupholders than a movie theater, and a third row fit for people over 13. Plenty of customizability means that most families can find a sweet spot. The Traverse still suffers a little from its old-fashioned package. Many crossovers deliver more of a complete package nowadays, including better efficiency, technology, and driving dynamics. Buyers who don’t need quite so much space can find more sophisticated options elsewhere. 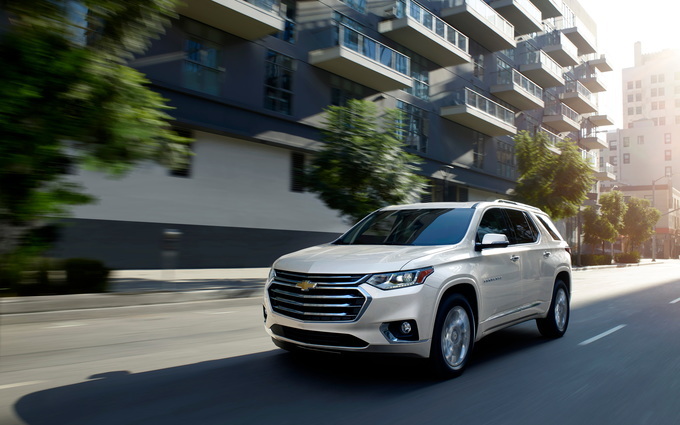 Aside from a few quibbles with the powertrain and the options list, the 2019 Chevy Traverse is a polished package. It’s not premium enough to compete with the luxury badges, but it has a sense of identity and utility. A strong engine, a stylish exterior, and a capacious cabin add up to a car the whole family can enjoy. 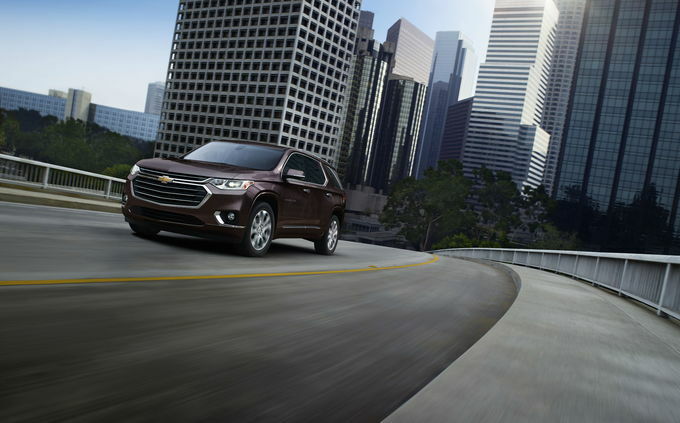 We have partnered with trusted dealers in your area to give you a great price on the new Chevrolet Traverse.